Last week marked the first ever London Bridal Fashion Week. The intensely watched fashion shows unveiled the latest bridal collection from the top UK and international designers. Rocks have accumulated all the best bits from LBFW 2015. Our first installment from the LBFW is focused solely on the fabulous designer collection. The Madeline Isaac-James signature collection is an established British label offering high quality, exciting and innovative silk wedding gowns as well as a range of coordinating accessories. Each collection has its own individuality and seeks to put its own stamp on the British bridal market and offers a variety of styles, shapes and silhouettes. Anoushka G. is all about glamour and sophistication. They deliver quality at every level, the woman wearing Anoushka G. should feel as though it has been custom made for her. The cut, the rich fabrics and the styles all make the Anoushka G. dress the one that grabs the attention. The bridal collection is made up of beautiful fashionable gowns for the modern bride who really wants something different for her special day, slim silhouettes, luxurious fabrics and rich embellishments make the Wedding Couture collection stand out. Award winning British bridal designer Ritva Westenius has been at the forefront of bridal couture for over 39 years. Her daughter, designer Chenca Williams, has taken up her mother’s legacy and added her own creative vision. Her designs are passionate and glamorous. The common thread running through Ritva Westenius’ collections is elegance and simplicity of style with an emphasis on perfect fit, structure and proportion. Inspired by the female silhouette, beautiful colours and luxurious materials, Danish designer Britta Kjerkegaard designs couture gowns from a place of true passion The designers couture bridal gowns feature a signature built-in corset for the perfect figure and collection include voluminous tulle skirts, handmade silk flowers, Swarovski embellishments and French laces beaded by hand. As well as the traditional white and ivory, Britta also introduces subtle pastel colours such as blush, champagne or dove for the bride looking for something different, yet elegant and fashionable. ARGA & ARGA are designers and creators of bespoke hand-embroidered luxury gowns and bridal wear, that is individually hand-crafted, made of luxurious fabrics and is hand-finished with a selection of fine gem stones. Every dress is delivered with a Certificate of Authentication with the gem stone details. Afterwards, these may be returned and reset as jewellery that make a fabulous keepsake from you special day. The Sanyukta Shrestha collection is luxurious organic fair-traded fabrics fused with flattering shape, elegance and individuality. Sanyukta Shrestha’s collections can be found in some of the most exclusive bridal boutiques in UK and Ireland. Keep an eye out next week for the next installment we are focusing on the Bridal Collection section of London Bridal Week 2015 . 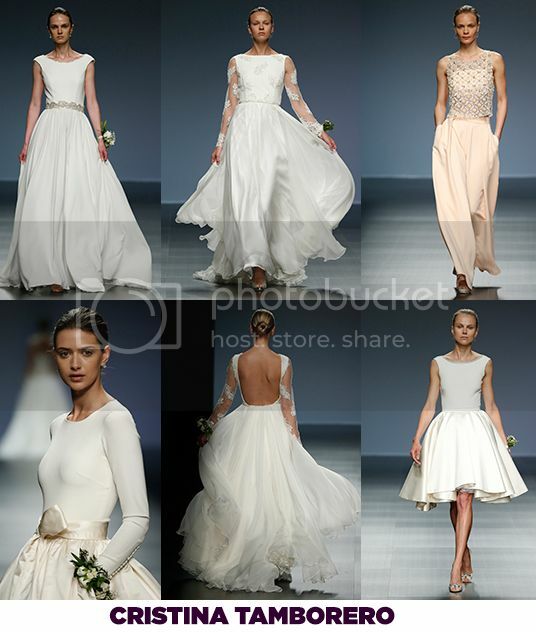 Last week saw the launch of the spring 2016 Barcelona Bridal Week. The intensely watched fashion shows, which spanned over four days brought bridal collections from all of the big fashion houses we all adore – from the timeless collection by Justin Alexander to the sophisticated simplicity of Cabotin and of course the romantic delicacy of both Christina Tamborero and Marcos & Maria. 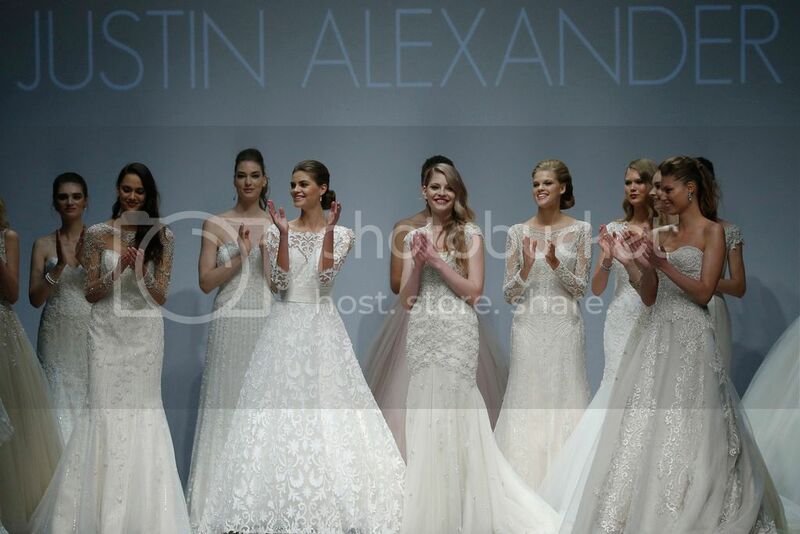 The Justin Alexander collection is inspired by vintage wedding dresses and featuring hand-made details that gives the creations a timeless feel. According to senior designer Tony Mentel, “the collection is a magnificent showcase of opulent, personalized beading on soft silhouettes over luxurious fabrics which perfectly reflect the idea of a fairy-tale wedding. Every design in this collection represents romantic femininity, with silhouettes that enhance and envelop every woman during the celebration of the most important event in her life: her wedding day”. 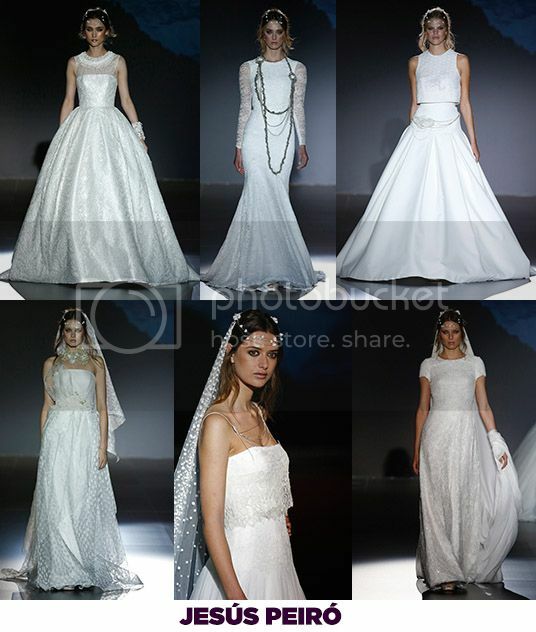 Barcelona Bridal Week is always famously closed by Pronovais. The iconic silhouettes of Pronovais such as mermaid, princess and shirt-dresses are paired with Mikado silk, raw silk, crepe and French lace to showcase their contemporary versions. Having watched and swooned over each beautiful masterpiece we have gathered a mere few for you to fall in love with. Keep an eye out next week for all the insights in to the much anticipated London Bridal Week 2015. Make you wedding about you. If you want your day to reflect who you are then you need to define what your own personal style is. So think about all those elements that make you who you are, from the clothes you wear, to the music you listen to, how you enjoy spending your time to how you choose to decorate your home. Once you have defined your style you can infuse this in to your wedding theme. 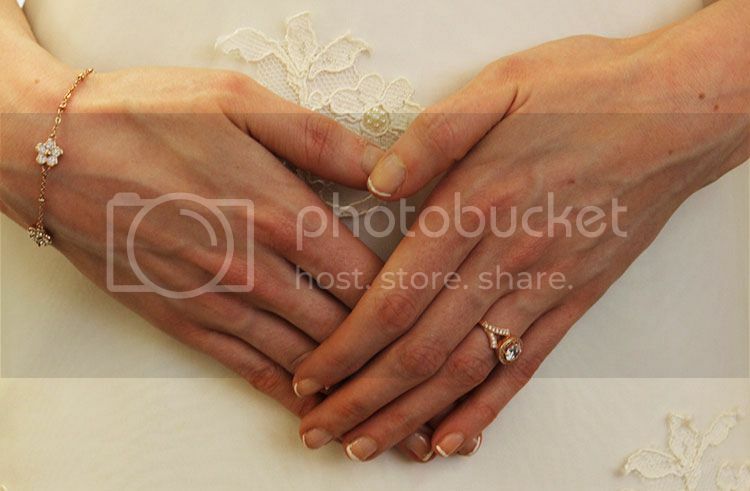 We have come up with some wedding themes to help you with this. Timeless Elegance, you always look perfectly put together, just like style icons, Jackie O, Grace Kelly and Audrey Hepburn and want your wedding to have that same classic feel. Classic and Traditional doesn’t have to mean stuffy or fussy! Honour the traditions and styles what has come before; however, make it your own by adding a modern twist of your own personal style. This could mean having contemporary music, mixing bright colours or adding your own signature touches to time honoured traditions. Wedding invitations are the perfect way to set the tone of the wedding while emphasising your own personal style. The dress is all about classical elegance, however, adding your own modern style. Whether the dress is a princess style ball gown or a sophisticated mermaid style dress, a touch of lace, pearls or diamonds adds the perfect detailing. By having a deep V in the back, or a sheer lace back adds your own personal modern twist to a truly classic and elegant dress. A veil adds to the perfectly polished look. Diamonds or pearls are the perfect quintessential accessories that ooze classic and timeless elegance. Whether you choose a simple diamond pendent and tennis bracelet or flawless pearls or a mixture of both you will be a true classic beauty/ picture perfect. When selecting the perfect place to hold your wedding, look for a historic and scenic location that will add to the overall theme and ambiance of your wedding, like a grand hotel ballroom. Think round tables with fitted cream or ivory linens, candelabras and centrepieces with tightly arranged roses, this will stand the test of time. Champagne served upon arrival, in pretty flutes is a must. Come dinner, put your own twist on the sit-down meal by personalising the menu. Remembering that it is all about the classics, a band is a traditional option, however, have fun with the song selection. The band will keep guests of all generations and music tastes on the dance floor. A wedding inspired by vintage pretties is one of our favourite kinds here at Rocks. There is something so romantic about finding treasures full of character and charm from another time and place. Not all brides want the classic fairy tale look on their wedding day. Finding the perfect dress is every bride’s priority as every bride wants to look beautiful and unique on their wedding day. 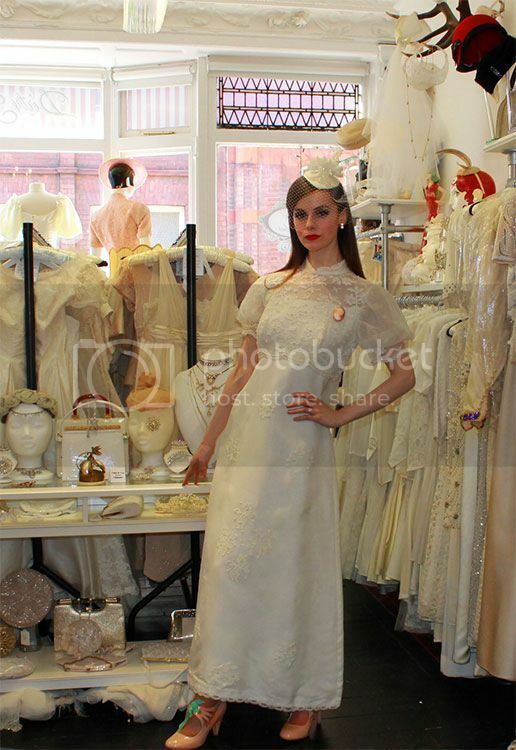 Rather than getting a dress off the rack, many brides are opting for a vintage dress. 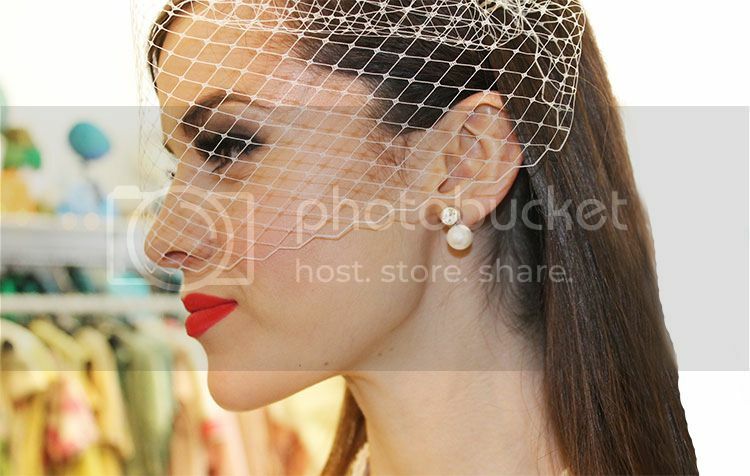 The classic beauty of a look that dates back to an earlier era can add a magical and romantic feel to your wedding day. 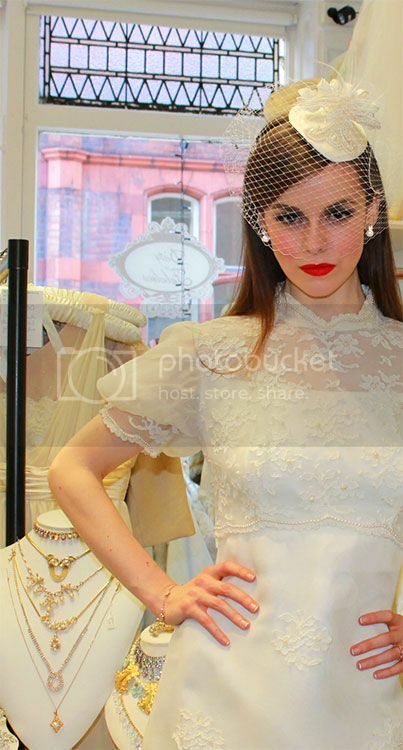 Vintage wedding dresses often feature exquisite details and workmanship. Another option for the brides who are not a lover of preloved gowns, however, love the vintage era can opt for a vintage inspired dress. Brides to be can opt for dresses from the glam 1920s inspiration, with gowns flaunting elegant beading, art deco embellishments and even fringe and feathers; to dresses from the 1950s that are glamorous, fun and flirty, whether tea length or floor length they are nipped in waists and full a line skirts…perfect for any bride looking for the perfect vintage inspiration. However, the gown would be nothing without the right accessories to match. 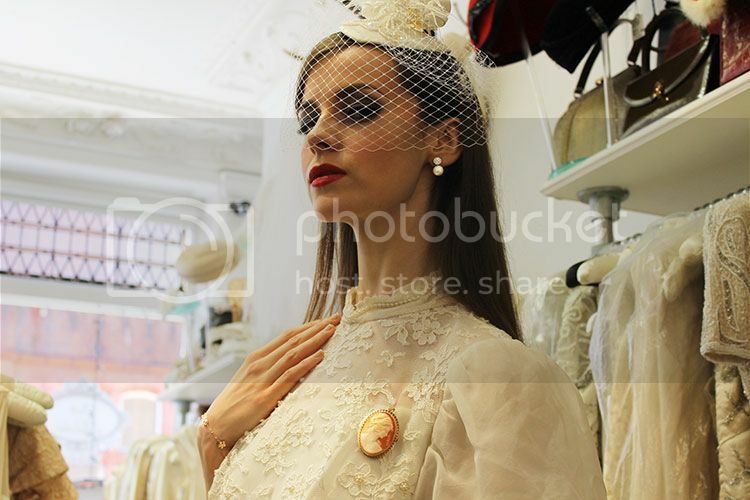 Brides try to inject their chosen era in to their wedding day style. Vintage or vintage-style jewellery is essential for a vintage inspired wedding. From strings of pearls to diamond brooches to bejewelled ribbon headbands, feather clips and art deco earrings and cuffs. Wedding bouquets and center pieces are perfect for adding the perfect vintage touch to your wedding, as you can play with the colours, textures and designs. For a vintage wedding, the styling can vary from simple to extravagant. The floral arrangements can range from bouquets, the ever popular mason jar center piece, cute buttonholes to gorgeous brooch bouquets. Are you looking for a vintage inspired wedding cake with a modern twist? Why not try vintage inspired cupcakes as your wedding cake. For something more traditional opt for a simple white iced cake with beautiful and elegant lace and floral detailing for the perfect vintage inspired wedding cake. And of course we can’t forget the Groom! Many weddings of course are getting their vintage touches from the groom’s contribution. Bow ties make a retro and unique touch along with slick suits and cufflinks are the perfect vintage accessory, for the perfect man in your life. Whether you like to stroll along the beach, ramble through the woods or just saunter around beautiful gardens, if you’re the outdoor type why not incorporate this in to your wedding! Why not use this to inspire the theme of your wedding and have an outdoor wedding, however, have a plan B if the rain does not hold off and have an outdoor inspired wedding. So once you have decided on an outdoor wedding, with living in Ireland and the weather being known for its unpredictability your best option is to have it in the middle of summer. So looking to your own personal styles, if you are both laidback and easy going why not opt for an informal beach affair or a quaint wedding set in the woods. You could have the aisle lined with wooden chairs, wild flowers and candle lit lanterns. The alter decorated with a beautiful arch with wild flowers, organsa ribbons and fresh ivy. Or if you would prefer something more formal why not opt for an outdoor ceremony in the beautiful grounds of the hotel, followed by a lavish outdoor inspired reception indoor. There are lots of ways to bring your wedding reception outdoors. The least risky- bearing in mind the temperamental Irish weather is to arrange with your reception venue to host a drinks reception outside. Most hotels have fabulous gardens and terraces and are only too delighted to see these being used. Serving drinks on the terrace or in the gardens, with finger food and canapés is very chic and makes for a great picture opportunity. So the all-important outdoor inspired wedding dress, this is all about your own personal style! If you want a laid back boho chic style dress or a lavish princess style ball gown go for it! Brides taking inspiration from the great outdoors have a huge range of dresses to select from, dresses with lace detailing to dresses with three dimension flower and leaf detailing. You can experiment with different colours, shadings, textures and dress styles. Here at Rocks we believe the perfect dress should be complimented with the perfect jewellery. No matter the style of your dress, diamonds and pearls are the perfect complement for any wedding dress. While being perfect for a casual, outdoor, or outdoor inspired wedding. For those of you who want to take a little more inspiration from outdoors and incorporate it in to you wedding jewellery why not opt for the beautiful John Rocha leaf collection or the elements collection. So if you have resided to the outdoor inspired indoor wedding, floral arrangement and centrepieces are a great way to infuse you reception room with the great outdoors. Picking your favourite wild flowers and placing them in mason jars or in old rustic vases can add the perfect touch of nature you are looking for. To carry the outdoor theme right through to the place settings, keep them simple and in keeping with the colours of the center pieces. And for that all important engagement ring, wedding rings or gift, take a look at our jewellery collections.